On July 16 and 17, Russia will mark one of the most sensitive centenaries in its recent history: the slaughter of Russia’s last tsar, Nicholas II, his wife (the Anglo-German Empress Alexandra), five children, and four remaining servants at point-blank range by a Bolshevik firing squad in 1918. Beyond Russia’s borders, the Great War was staggering towards its terrible, weary climax. Within them, it was the middle of the first year of the Russian Civil War, and the Romanovs had to be killed in order to prevent them from falling into the hands of an approaching White army composed mostly of Czechoslovak POWs on their way to Vladivostok. To those familiar only with the Nicholas of Western history books, this decision by the descendants of his former subjects to number such a disastrous ruler among the saints will seem grotesque. Those yet to catch up with the changes that have taken place in Russia since the collapse of the Soviet Union will find the Romanovs’ rehabilitation doubly disconcerting. Talk of a “new Cold War” has released a torrent of analogies between Putin’s Russia and Stalin and Brezhnev’s Soviet Union.9 It is said that Putin, the ex-KGB man, yearns to restore the Soviet Union, whose demise he infamously qualified as a turbulent century’s “greatest geopolitical catastrophe,” and it has become an article of faith in Western analysis that this sentiment motivates Russian foreign policy. Moreover, it is commonly held that, as Russia almost ineluctably returns to its totalitarian past, that the country so recently democratized by Yeltsin is being “re-Stalinized” by Putin. If so, however, it’s a re-Stalinization of which the marshall would hardly recognize or approve of. Then in November, just eleven days after the centenary of the “Great October Socialist Revolution” (which Putin did nothing specific to commemorate), he flew to Crimea to unveil a massive statue of Nicholas II’s father, Tsar Alexander III (1881–94), outside the restored imperial palace at Livadia, where Alexander passed in 1894. Given that Alexander, who had sent Lenin’s elder brother to the gallows for an attempt on his life in 1887, outdid even Nicholas in Communist demonology, this was an act of considerable symbolic boldness. Whereas liberals and socialists together hated the thickset emperor Alexander III, the first tsar in two and a half centuries to wear the traditional Orthodox beard, he was lauded by Russia’s nineteenth-century Slavophil nationalists (including Dostoevsky, who was presented to him at the palace) for repudiating the “cultural revolution” instituted by his clean-shaven ancestor Peter the Great (1682–1725) in his slavish imitation of Western manners, styles, and customs. In a purely negative sense, of course, the Romanovs’ rehabilitation represents a repudiation of the whole idea of revolutionary upheaval—something overwhelming majorities of Russians reject for their country. Naturally, the cynic will say that the Kremlin’s recourse to Burkean-style rhetoric to idealize the Romanovs’ autocracy is just an apology for reaction, window-dressing for a further tightening of Russia’s political screws. Perhaps it is, and it would be foolish not to be alert to that possibility. But it’s important for us as observers of Russia in the West is to take a broad enough view of Russian society and politics in order to be able to account for the alternative, too. We won’t if we keep telling ourselves that Stalin’s totalitarianism is post-Soviet Russia’s only lodestar. In a positive sense, then, is rehabilitating the Romanovs a means for repairing the broken unity of Russia’s historical experience? If so, perhaps a sympathetic re-consideration of the moral and political predicament of Russia’s last Tsar, from the point of view of both subsequent Russian history and the twenty-first century “metacrisis” of liberalism, could provide clues as to its contents and direction. In Russia itself, however, the Romanovs’ canonization as saints is symbolic of the resurgence of that ancient vision of Orthodox “Holy Rus” suppressed by seventy years of atheist Communism. The official liturgy written in honor of Nicholas and his family unyieldingly describes Bolshevism as the “godless authority” by which “Russia was oppressed” after “many iniquitous . . . leaders of the people desired to rise up against Faith, Tsar and Fatherland.”22 Of course, the note here is patriotic and conservative. But we shouldn’t for that reason miss its potential radicalism either. The ideal of the saintly, self-sacrificial prince pervaded the culture of medieval Russia; the twenty-first century cult of the “Royal Passion-bearers” essentially revives it.23 As both Tsar and martyr, Nicholas II offers the Russian people a ruler “meek and silent in . . . sufferings” who voluntarily “relinquished earthly power, glory and honor” in his desire “to avoid Cain-like fratricide.” Don’t we find here precisely that “anti-Stalin” of which Russian society is universally seen as lacking—a means for Russians both to retrieve their history, and to transcend it? 1 See the vivid reconstruction of events in Wendy Slater, The Many Deaths of Nicholas II: Relics, Remains and the Romanovs (London: Routledge, 2007), 1–15. 2 On Lenin’s culpability, see Robert Service, The Last of the Tsars: Nicholas II and the Russian Revolution (London: Pegasus Books, 2017), 248–53. 3 Cited in Orlando Figes and Boris Kolonitskii, Interpreting the Russian Revolution: The Language and Symbols of 1917 (New Haven: Yale University Press, 1999), 72. 4 Count Vladimir Nikolaevich Kokovtsov, Out of My Past: The Memoirs of Count Kokovtsov, ed. H. H. Fisher and trans. Laura Matveev (Palo Alto: Stanford University Press, 1935), 522. 5 Douglas Smith, Former People: The Last Days of the Russian Aristocracy (London: Picador, 2013), 184. 7 See Anastasia Edel, “The Remains of the Romanovs,” New York Times, July 10, 2017. 8 Service, 5–10. See also: S. A. Smith, Russia in Revolution: An Empire in Crisis, 1890–1928 (Oxford: Oxford University Press, 2017), 16–21. For a more sympathetic interpretation of Nicholas as man and ruler, see Dominic Lieven, Nicholas II: Emperor of All the Russias (London: John Murray Publishers Ltd, 1993). 9 Andrew Monaghan, “A ‘New Cold War’? Abusing History, Misunderstanding Russia,” Chatham House Research Paper, Royal Institute of International Affairs, 2015. 11 “Lenin, Stalin and Last Emperor Nicholas II Top Popularity Rating of Russian Historical Figures,” RT, June 26, 2018. 12 Vladimir Putin, Address to the Meeting of the Valdai Discussion Club, October 19, 2017. 13 Putin, Unveiling of Monument to Grand Duke Sergei Aleksandrovich, May 4, 2017. 14 See William Anthony Hay, “How Burke Became Conservative,” Modern Age 60, no. 2 (Spring 2018). 15 Putin, Unveiling of Monument to Alexander III, November 18, 2017. 16 Mark D. Steinberg and Vladimir M. Khrustalev, The Fall of the Romanovs: Political Dreams and Personal Struggles in a Time of Revolution (New Haven: Yale University Press, 1995), 21. 17 Jesse Norman, Edmund Burke: The First Conservative (New York: Basic Books, 2013), 138, 232. Neither was Nicholas necessarily opposed to change in itself, as he is often represented. 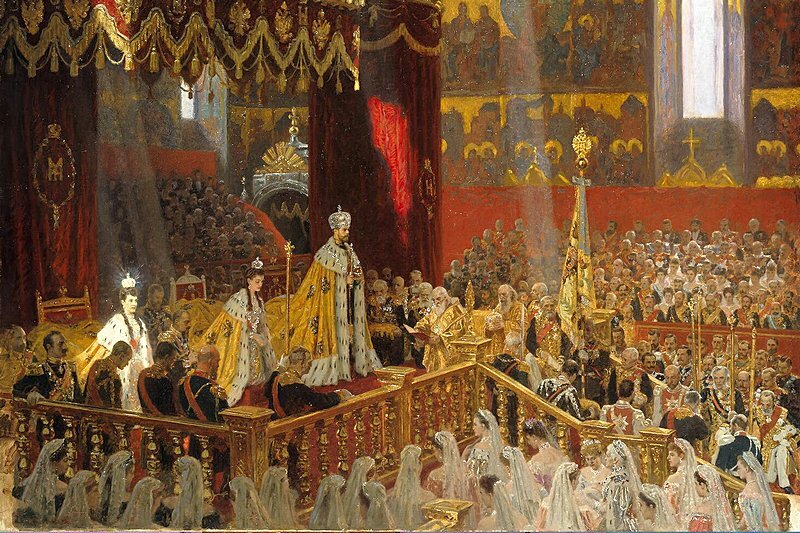 Unbound by the solemn oath Nicholas swore before God at his coronation, his son Alexei he believed would “repeal what’s unnecessary.” “I’m preparing the way for him,” the tsar told a member of the court (Service, Last of the Tsars, 10). 18 Tsuyoshi Hasegawa, The February Revolution: Petrograd, 1917 (Seattle: University of Washington Press, 1981), 493–94. 19 Lieven, Nicholas II, 232. 20 For Nicholas’s interaction with ministers, see Kokovtsov, Out of My Past, p. 153. On the standard that Nicholas held himself to as an “apostle-like Tsar,” see John Strickland, The Making of Holy Russia: The Orthodox Church and Russian Nationalism before the Revolution (Jordanville: Holy Trinity Publications, 2013), 97–102. I am firmly convinced that Nicholas could not conceive the possibility of the separation of Church and State any more than he could the principles of a purely constitutional monarchy. On the question of such a separation as ideologically constitutive of modern liberalism, see Andrew Willard Jones, Before Church and State: A Study of Social Order in the Sacramental Kingdom of St Louis IX (Steubenville: Emmaus Academic, 2017), 2–20. 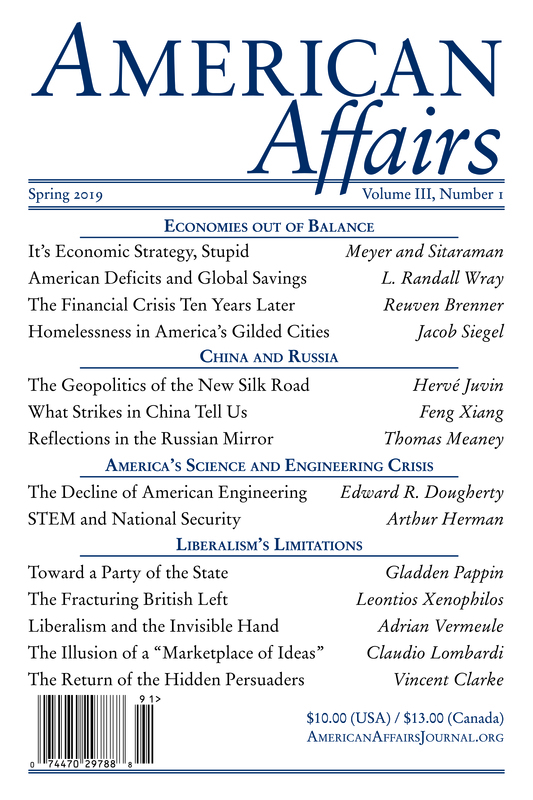 21 Patrick Deneen, Why Liberalism Failed (New Haven: Yale University Press, 2018), 27–31, 174–78; also John Milbank and Adrian Pabst, Politics of Virtue: Post-Liberalism and the Human Future (London: Rowman and Littlefield International, 2016), 247–76. 22 The text of the liturgies can be found in The Royal Passion-bearers of Russia: Their Life and Service, St. Herman of Alaska Brotherhood, (Platina, California, 2014). 23 Michael Cherniavsky, Tsar and People: Studies in Russian Myths (New Haven: Yale University Press, 1961), 13–17. 24 Richard S. Wortman, Scenarios of Power: Myth and Ceremony in Russian Monarchy from Peter the Great to the Abdication of Nicholas II (Princeton: Princeton University Press, 2006), 160–61, 388, 393; Orlando Figes, A People’s Tragedy: The Russian Revolution, 1891–1924 (London: Penguin Books, 1996), 10–11. Matthew Dal Santo is an historian and foreign affairs writer resident in Denmark, where he was Danish Research Council post-doctoral fellow at the University of Copenhagen from 2014 to 2017. A former fellow of Trinity College, Cambridge, and a policy officer of the Australian Department of Foreign Affairs, he is the author of God Save the Tsar! The Romanovs and the Redemption of Russia (forthcoming in 2019).